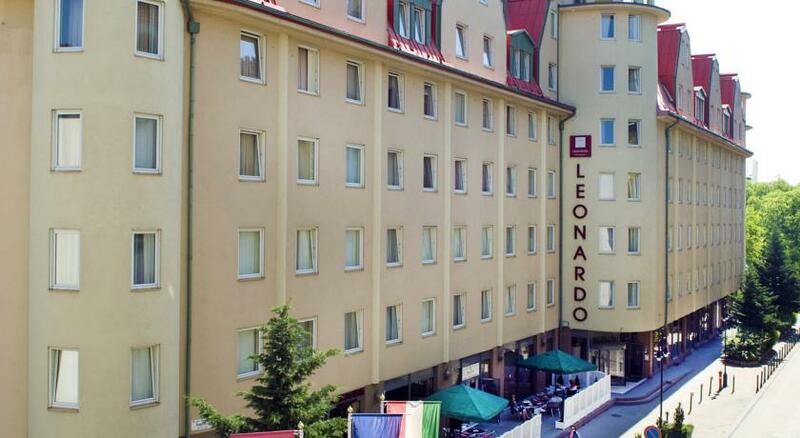 The Hotel Leonardo Budapest**** is situated downtown, on the Pest side of the city, in a quiet street of the district called Ferencváros. 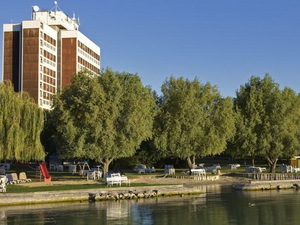 This district - being a part of the city-wide rehabilitation works - is one of the most developing area of Budapest, close to the financial and business centre of the city. 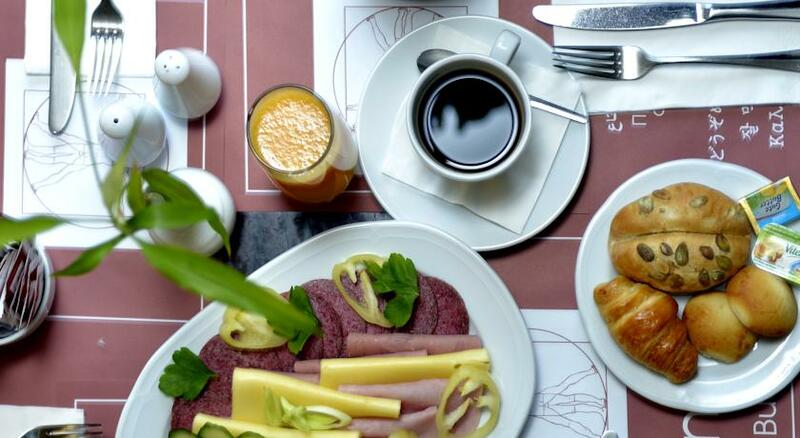 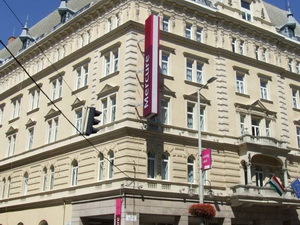 The hotel is easily accessible from the Airport, two metro stops from the city centre and 200 meters from the Holocaust Museum. 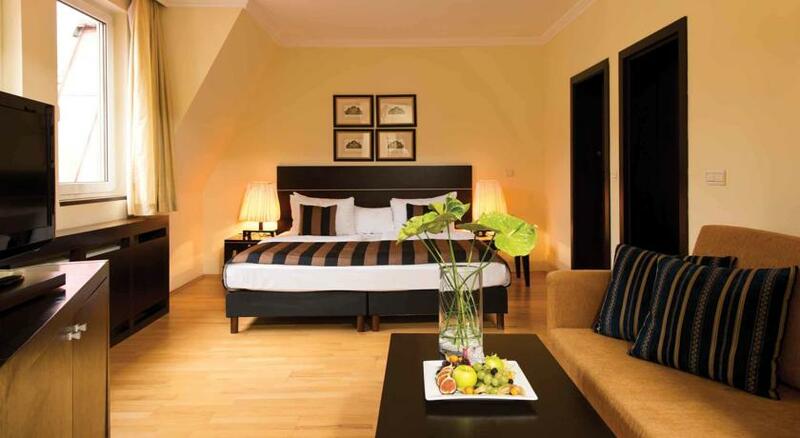 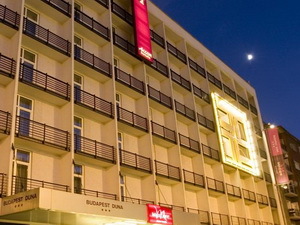 This modern-style four-star property has 182 rooms including standard double/twin rooms, 24 superior rooms and junior-suites. 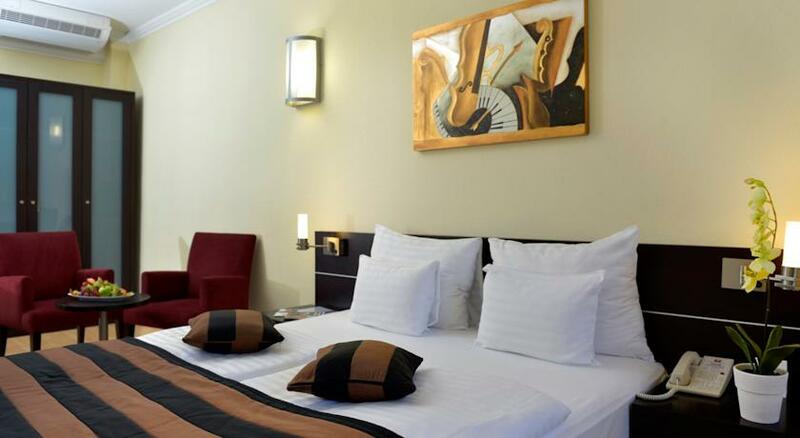 All the rooms are air-conditioned featuring well-designed furniture 2 phones (one in bed-room, the other is in bath-room), an extra ISDN line for Internet access, colour TV with satellite and movie channels, minibar and in-room safes (which are large enough even for a laptop). 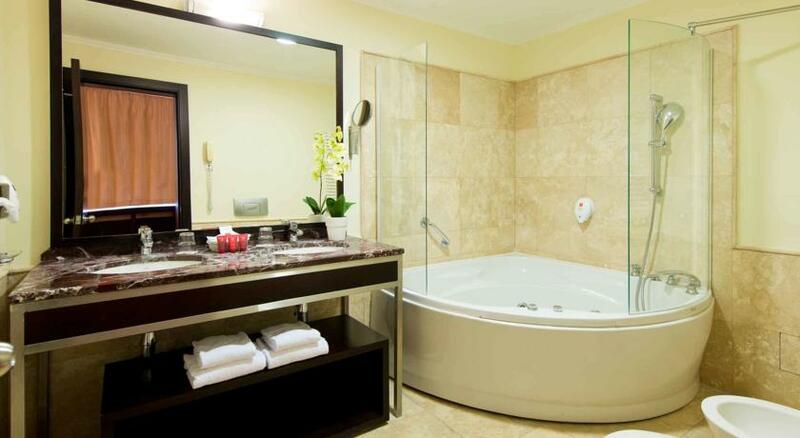 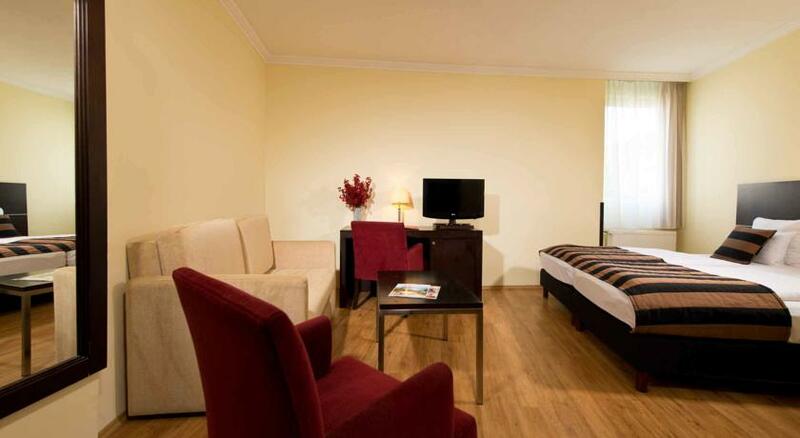 The hotel has non-smoking floors and rooms specially designed for disabled as well. 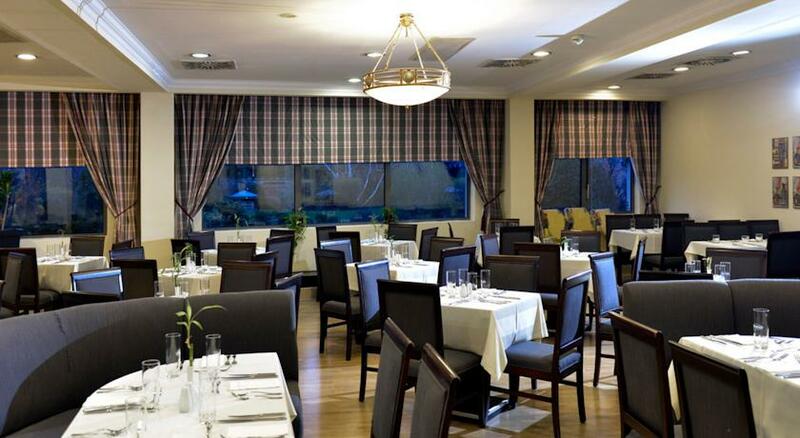 The two restaurants of the hotel offer light and international cuisine. 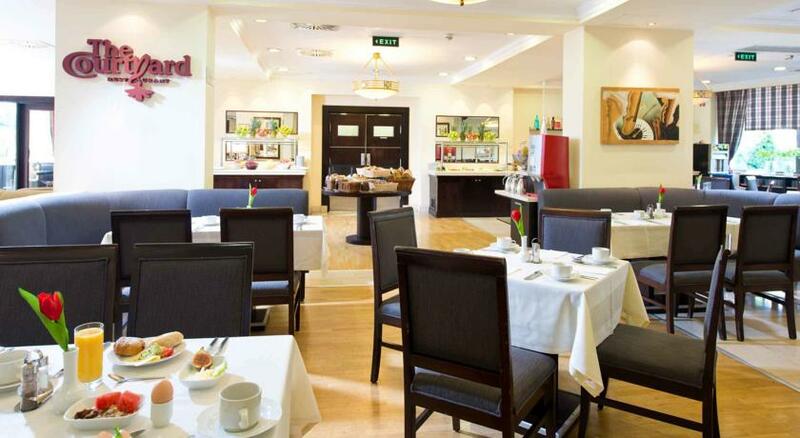 Our Courtyard restaurant provides all-you-can-eat buffet all the day. 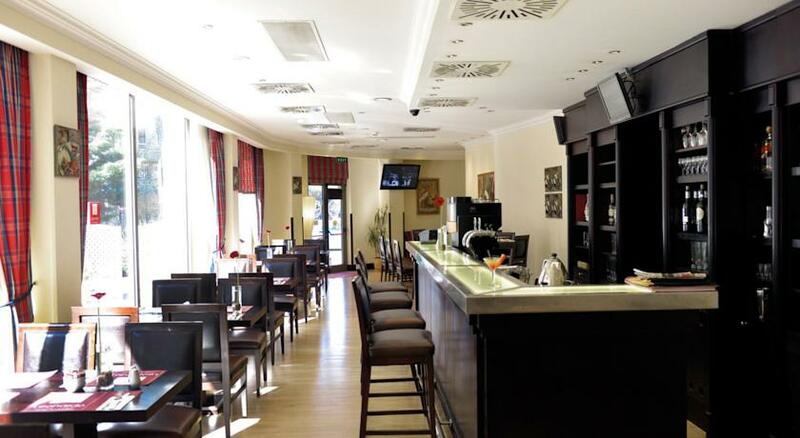 42nd street, our bistro/á la carte restaurant has a casual atmosphere serving light foods, sandwiches, snacks and canapés. 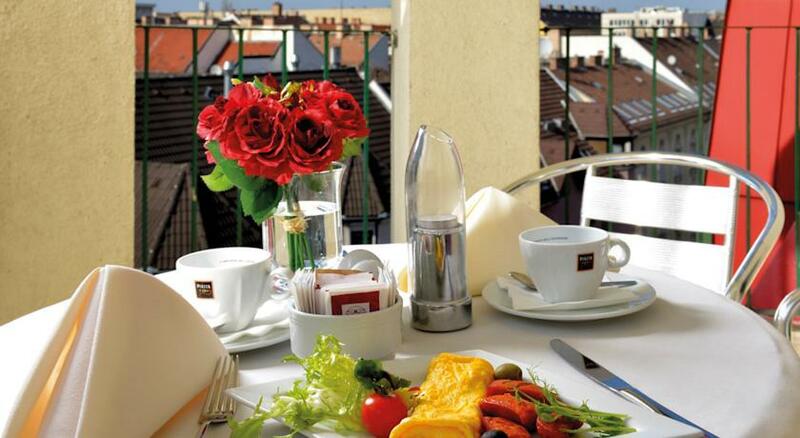 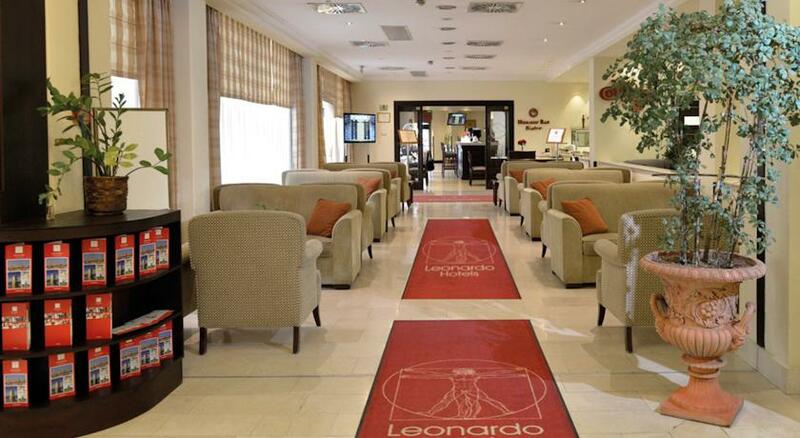 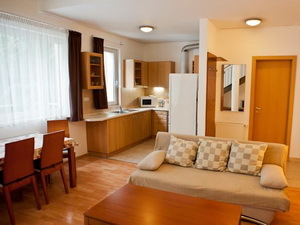 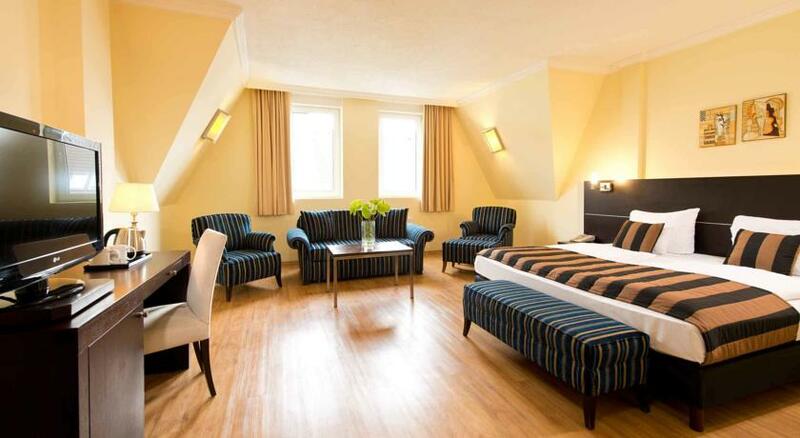 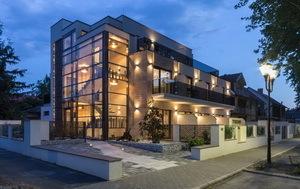 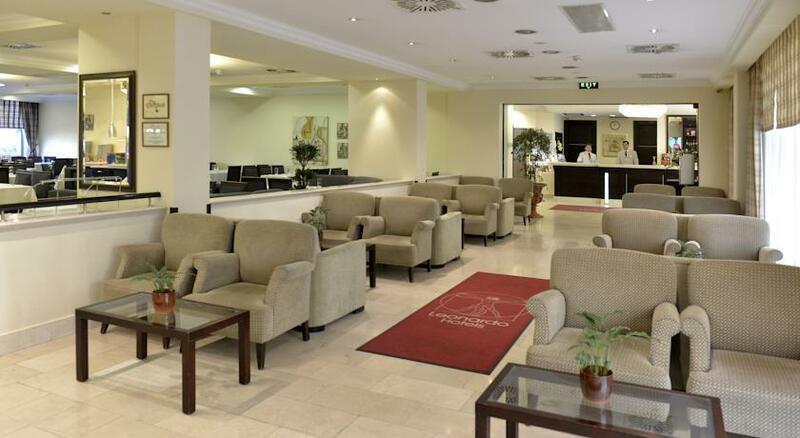 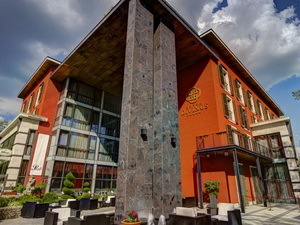 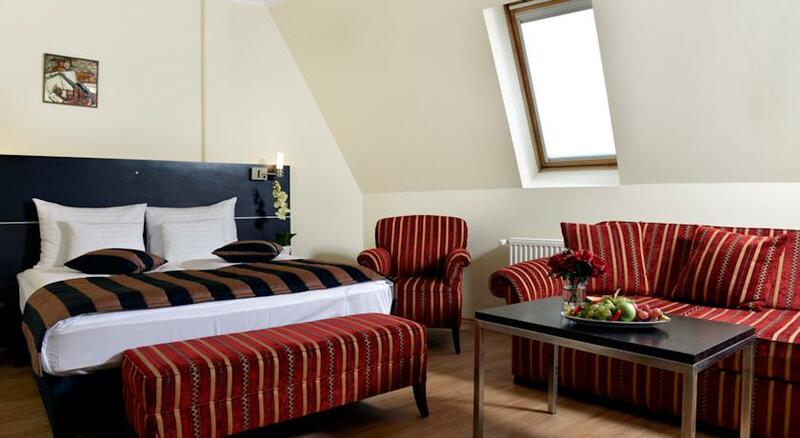 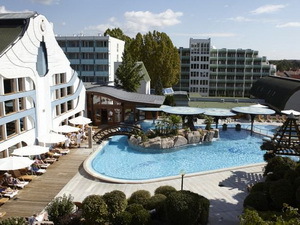 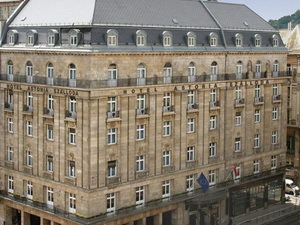 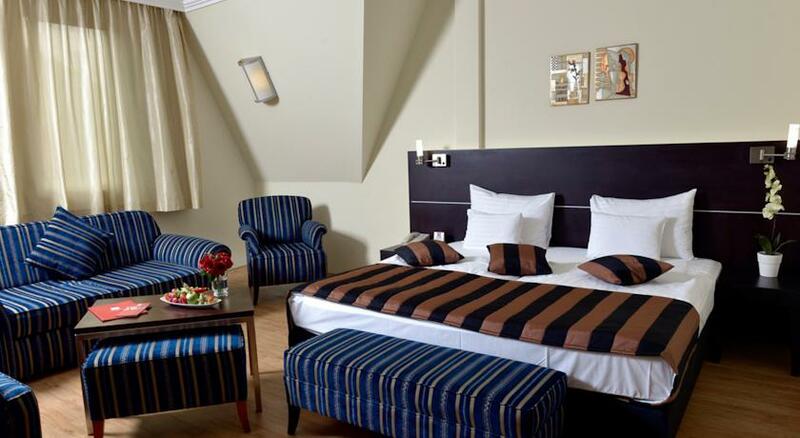 Hotel Leonardo Budapest is an ideal place for small meetings and trainings. 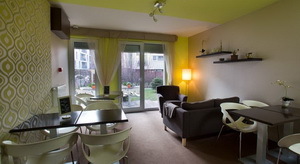 All the meeting rooms are air-conditioned, inter-connectable, dividable and have natural light. 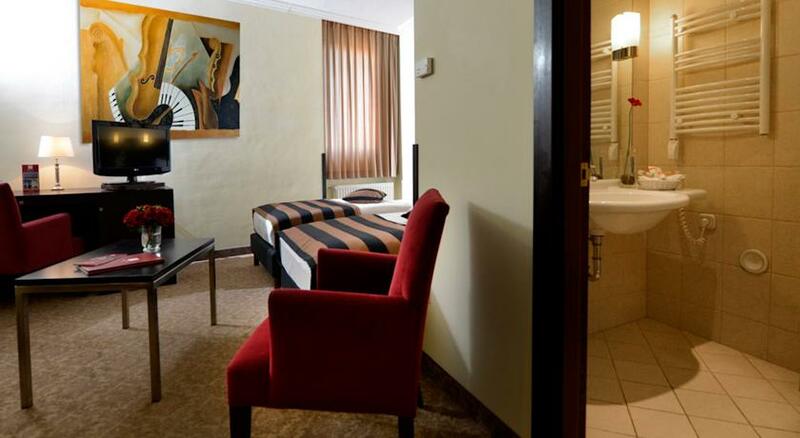 The rooms are equipped with modern conference facilities. 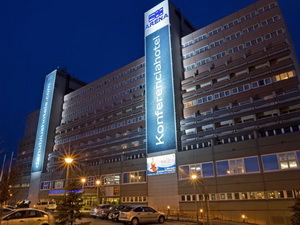 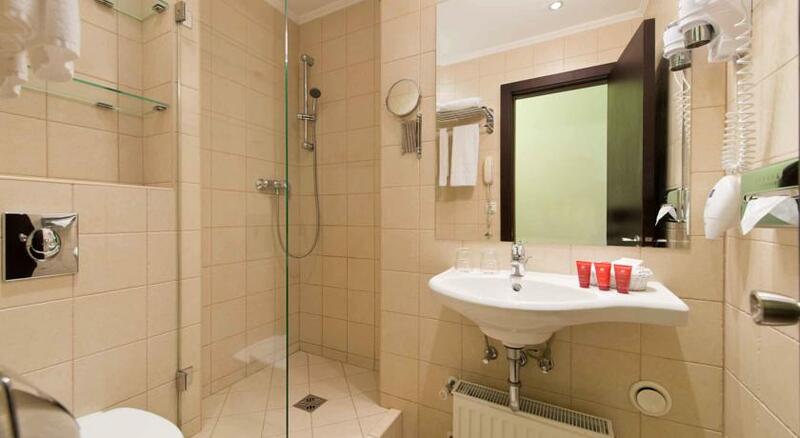 The hotel has a fitness-center with sauna and an underground garage for up to 40 cars. 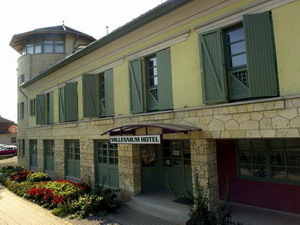 We provide a free parking place for buses as well.